Since their meteoric rise only 18 months ago, Sydney’s Northlane have drawn comparisons to the other big guns of the Australian heavy music scene: Parkway, Prom Queen and Amity. Don’t let that fool you. Northlane are better than all of them. Indeed, trying to slot this band into metalcore is disingenuous unless Meshuggah and Periphery and their like also fit comfortably there. If their relevatory debut showed them as a band thinking outside the square then Singularity is further affirmation that Northlane is not a group prepared to be pinned down easily. Even though they can’t fully escape falling back on some generic cliches toward the end of the album, Singularity is so good that this doesn’t matter. While stepping back a little from the obvious Meshuggah worship of Discoveries, the very first riff that manifests as “Genesis” rumbles from the silence on the back of Nic Pettersen’s rolling drums is in that same twisted, down-tuned ballpark. “Scarab” sets the tone for technical fretwork and speed but Northlane keep it focused on sharp song writing rather than unbridled displays of Periphery-style wankery while still filling every track with breathtaking intricacies. On “Worldeater” everything comes together, inherent catchiness amongst the time-signature defiance, spidery guitar figures creating an almost haunting atmosphere out of which slow-building vocal harmonies creep in a way that borders on genius. Sonically, Northlane are levels above the bands some try unsuccesfully to lump them in with. Will Putney’s amazing production leaving the listener to find a new surprise with each go around. Bands of this nature can often be lessened by uninspired vocals, but Adrian Fitipaldes never lets the side down with a strong arsenal of low-end roars and growls and a convincing, natural raw-edged clean tone along with thought-provoking, uplifting lyrics. 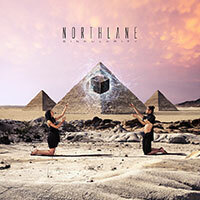 Just a quarter of the way into 2013 and Northlane has already set a standard in excellence that many will find hard to match. Singularity is progressive heavy music at its best.